Classic Script Cream and Scarlet Red from Olivia Samuel embodies timeless elegance and traditional style. 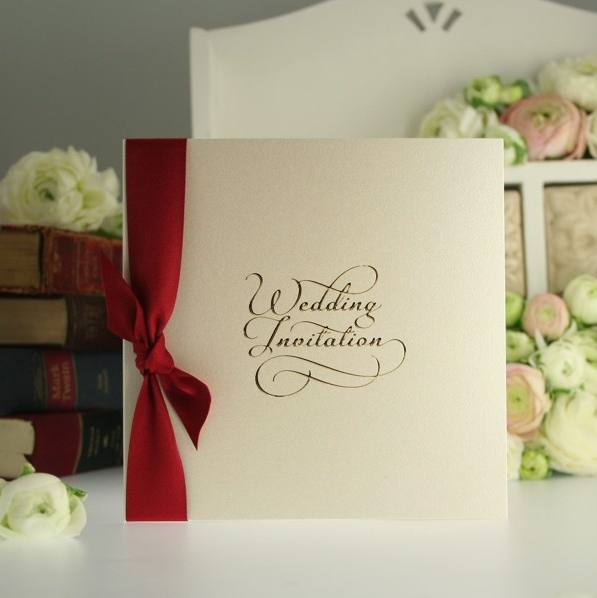 With it’s beautiful gold foil script on cream shimmer board and gorgeous double faced satin ribbon tie in scarlet red, it is a subtle design that will set the tone for your wedding. The cream, gold and scarlet red is a stunning colour combination and will particularly suit a winter wedding where you are looking to create a sophisticated, yet warm and cosy, festive ambience (rather than a holly and berries red and green theme, which can run the risk of looking a little twee!). You can choose to have the ribbons tied by the team at Olivia Samuel, or you can tie the ribbons yourself, which on this design is extremely easy as it is just a simple knot. There is also the option to DIY with this design as well and templates are available on the Olivia Samuel website for printing your inserts. 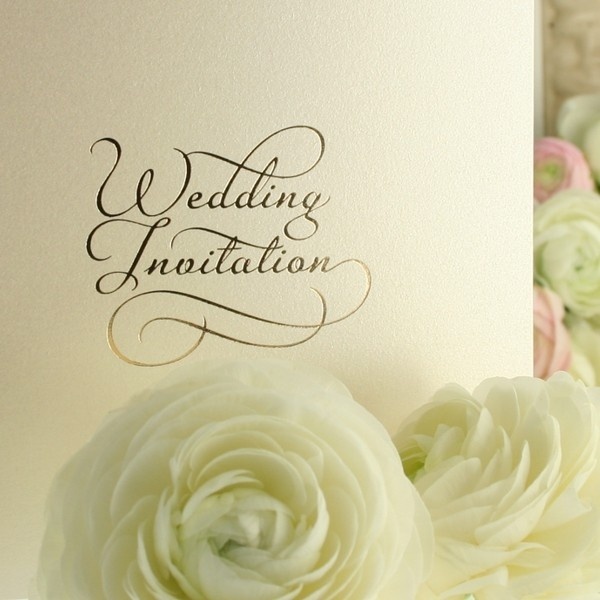 The invitation measures 150x150mm and your wording is printed on an ivory 150gsm insert. There is a coordinating suite of items, including save the dates, place cards and menus.